The anime version of Hitoshi Iwaaki's Parasyte was a hit a few years back, bolstered by a pair of live-action movie adaptations. That the two different versions came out at the same time isn't unusual; what is unusual is that they came out twenty-five years after the manga finished its original run. It's not even that obscure of a manga, either, especially in the USA, where it ran in the pages of Tokyopop magazine and received three different releases. This probably works in the series's favor. 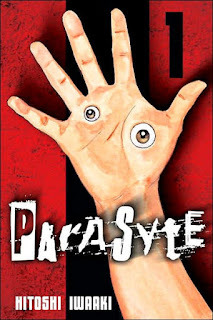 Had an anime of Parasyte been made during its original run, it likely would have blended into the glut of ultra-violent OVAs that still tarnishes American perceptions of Japanese animation. Because of its age, there are parts of Parasyte's plot and characterizations that seem clichéd, such as main character Shinichi Izumi being a withdrawn high schooler with a crush on a platonic female friend. The titular parasites, with their intentions of hiding within humans and taking over the world in secret, consistently remind me of the Yeerks from Animorphs despite that series debuting long after Parasyte began. What sets the story apart is how Iwaaki approaches the characterization of the parasites. We barely meet Shinichi in the first chapter, instead focusing on the silent invasion of the creatures, including the one that sneaks into the teenager's room. One of Iwaaki's likely inspirations for Parasyte and how the aliens worked was John Carpenter's The Thing. Both creatures reshape the bodies they've taken over in order to defend themselves or attack others and are capable of mimicking their host enough to cause others to drop their guard. Shinichi's first fight is with a possessed dog in what has to be a direct tribute to Carpenter. As the aliens of Parasyte get used to their bodies, they hunt for food, leaving behind a grisly trail of bodies supposedly killed by a serial killer -- the "Mincemeat Murders." Unlike the other possessed, however, Shinichi has the willpower to keep his sentience and keep Migi partially in check. Migi is, far and away, the most interesting character in the manga, which is impressive considering how emotionless he is. While he does his fair share of whining, he also reads constantly as a benefit to both himself and Shinichi. He provides a window into the unusual morality of the aliens. In Migi's view, it only makes sense to eat those of your own species and he doesn't understand why Shinichi is repulsed by having to kill the possessed humans. It would have been easy to screw up this type of body-sharing; just look at The Host and The Fifth Wave, two widely derided flopped films with similar possession stories that didn't take advantage of their story possibilities. The voices of Shinichi and Migi are well-defined and differentiated, which makes for an easier and more satisfying read. Because it's still early in the series, the supporting cast is still coming together, and there's no indication of who the main villain might be if there is one. Shinichi's parents are that rarest of anime couples: alive, married, with no powers and no issues other than their son's weird behavior. Along with his friend/girlfriend Satomi Murano, Shinichi gains his biggest ally midway through the volume with the arrival of Ryoko Tamiya, his science teacher, whose possession seems to not have worked out as it should have. 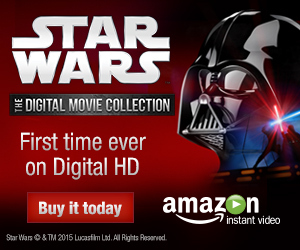 Her quest to figure out the aliens drives the otherwise episodic plotline forward. Like the aforementioned Guyver, Iwaaki's art style has the crispness of older manga, in comparison to the occasional murkiness of titles like Dorohedoro. His designs for the transformed possessed creatures are brilliantly over-the-top and horrifying. The dog, for instance, ends up getting wings in the weirdest configuration possible, while another unfurls his head into a razor-thin ribbon to chop people into tiny bits. From what I've seen, these just get weirder from here on out. Despite its age, Parasyte still works as a good entry into the body horror sci-fi genre, especially since it's not as gory as many of its brethren. The anime Parasyte: The Maxim is solid as well, with the added advantage of slight updates to modernize the story.